The latest movie from The Dark Knight director Christopher Nolan has had the opening weekend of its dreams. Reports that Inception will leave you scratching your head at its twists and turns hasn't stopped people flocking to it in droves this weekend, pushing it to number one in the US Box Office charts. Inception took $60.4million on its opening weekend, knocking 3D animated comedy Despicable Me off the top spot, and providing star Leonardo DiCaprio with his biggest opening weekend ever. 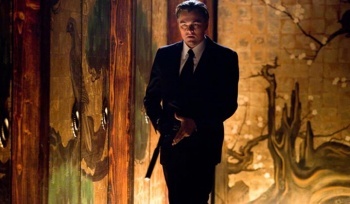 Dan Fellmen, head of distribution for Warner Bros, said that Inception was now well positioned to run for the rest of the summer. Inception stars Leonardo DiCaprio as the leader of a team of professional saboteurs who steal secrets from people's dreams. DiCaprio said that the movie didn't rely on "regurgitated plot structures," and that he was pleased to see movies that took a risk and challenged their audiences. It's always encouraging when movies like Inception do well, as it opens the door for similarly complex films in the future. Watching things explode is always fun, but it's nice to have a bit of variety too. If you want to find out a little bit more about the movie, you can watch MovieBob's review here.